You are now on territory of the UNKNOWN. Common knowledge asserts it is where science, and sometimes religion, have their limits explaining many things that happen beyond the scope of “normal” understanding. YOU CAN EXPERIENCE PARANORMAL PHENOMENA AT WILL. It may sound strange, but it is possible; under the “right circumstances”, of course. -Which are some of the elements that create the “right circumstances”? -What keeps us from making contact with that eerie and bizarre realm? -Do we have what it takes to be like explorers of ancient times? Many, as you already may know, have crossed the thin boundaries of the ordinary world on purpose, while many others have done it accidentally. Just as hidden knowledge is revealed throughout symbolism in legends and myths, some clues may be disclosed through all the supernatural anecdotes that abound. There are many levels of exploration. It doesn’t matter if you take your knapsack and decide to travel to one of those strange lands, or if you simply want to get lost among some book´s pages. You are the curious, the explorer; it is your adventure, your quest. You will eventually find the trail left by those courageous souls who have ventured and explored before us the unfathomable world of strange phenomena. It may be intriguing, it may be frightening, or perhaps it may even be entertaining. Are you looking for paranormal activity? Let´s follow the silent whisper of the Unknown. Would you like to be initiated into the mysteries of cryptozoology? Explore the vast and still uncharted domain of the animal kingdom. They appear without warning and then disappear in the most inexplicable manner. Some may seem benign while others lurk in the shadows. Fathom the eerie and bizarre realm of paranormal creatures. What if the reality behind ghosts were not what we thought? Discover what may be at the bottom of this strange phenomena. We have been conditioned to believe ufos are external to us. What if not? Discover why. Beyond Matter, Challenge Your Perception of Physical Reality. Is it possible to go beyond matter? Discover the realm where the material world fails to be omnipotent. Is it possible to go beyond energy? Discover the realm where energy seems to have no end. Beyond Space, Challenge Your Three Dimensional Perception of the World. Is it possible to go beyond space? Try breaking the boundaries of illusion. Is it possible to go beyond time? Discover the realm where time ceases to be a prison. Unsolved Mysteries, Is There a Way Out? What if there was a way where unsolved mysteries could be solved? Lost Cities, Are They Really Lost? Discover one of the greatest secrets surrounding lost cities. Who knows, maybe they are not lost after all. Paranormal TV, A Realm of Hidden Possibilities. 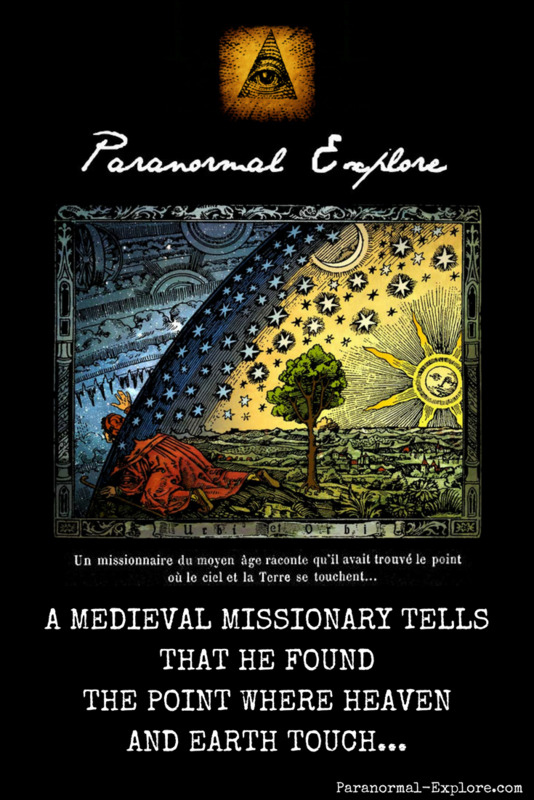 What kind of role does paranormal TV can have on your mind and exploration of the unknown? Find out some unexpected possibilities. Do you believe paranormal phenomena happens by chance? Various FACTORS come into play. Would you like to know? Paranormal Explorers Blog keeps you up-to-date with all additions and changes to the paranormal-explore.com website. Subscribe here. Do you have any comments or questions? Feel free to ask.